Update: I bought $5,000 worth of gift cards a few hours ago and there is already $150 pending in my Top Cashback account! 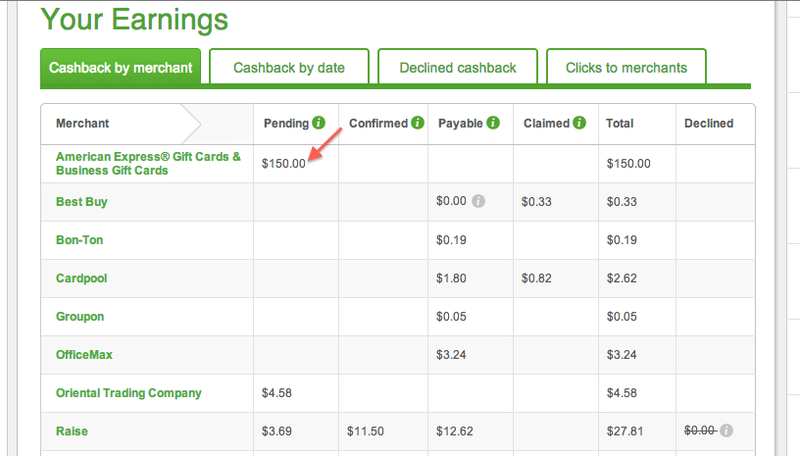 Top Cashback just upped their payments for buying American Express Gift Cards to 3%. There is now an opportunity to make some "free" money, some cheap miles from this deal or get good cashback percentages everywhere. 1) There is a $3.95 fee associated with each $500 gift card you buy. 2) There is a $8.95 flat fee for shipping so this fee is distributed over more cards when you make larger purchases. 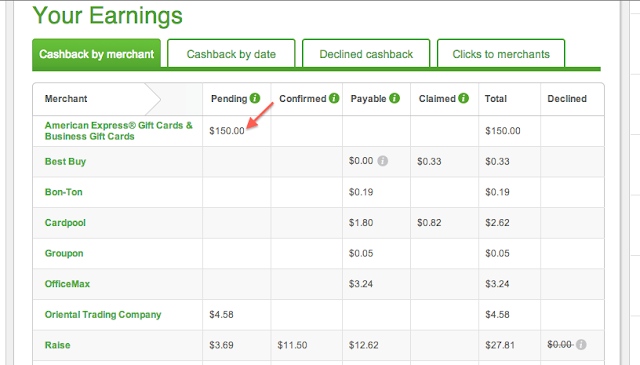 3) Limit of 10 transactions per day for Top Cashback and there is a limit of $5,000 of gift cards in one transaction. Bottom line: This means your total fees for $5,000 of gift cards would come out to $48.45 or a little less than 1% in fees. 1) No matter which credit card you use you will get 3% back into your Top Cashback account or $150. 2) If you use a Fidelity American Express card you will get an additional 2% back. 3) If you use a miles/points credit card, you will be getting paid to buy points. -You get the same $150 - $48.45 in fees or $101 net. You will then get 5,000 points in addition to that. However, when you use the gift cards you won't be getting any points so you get the same number of points total, you just get $100 in addition, which is pretty sweet. Sounds confusing? Well, sorry, it kind of is confusing. I personally prefer cold, hard cash, but everyone is different. Bottom Line: If you use Top Cashback and Fidelity American Express you will get 4% cashback on this deal on $5,000 of future purchases. If you use a miles/points credit card you will get $100 and your regular 5,000 points once the $5,000 is spent. Amazon Payments - You can send up to $1,000 a month to a friend with a credit card, including American Express gift cards. Buy Vanilla Reloads/Visa Gift Cards - You should be able to use these cards to buy Vanilla Reload cards or Visa gift cards which can be loaded onto Bluebird online for Vanilla Reloads and at Walmart for Visa Gift Cards. Add 1% in fees to this option. Google Wallet - if you have a Google Wallet account, you can send money via email with a credit card to anyone and that person can withdraw to a checking account. The problem is that the fee is a whopping 2.9%, which negates most of your cashback. That being said, you will still net over $57 with the Fidelity American Express without having to spend any money. With a points card, you end up paying $43.45 for 5,000 points or 87 cents per point, which is cheap, but you are still spending money. Warning! Don't use a Citibank Credit card as they will code it as a Cash Advance so you will get a fee and no points. American Express and Chase cards are safe.